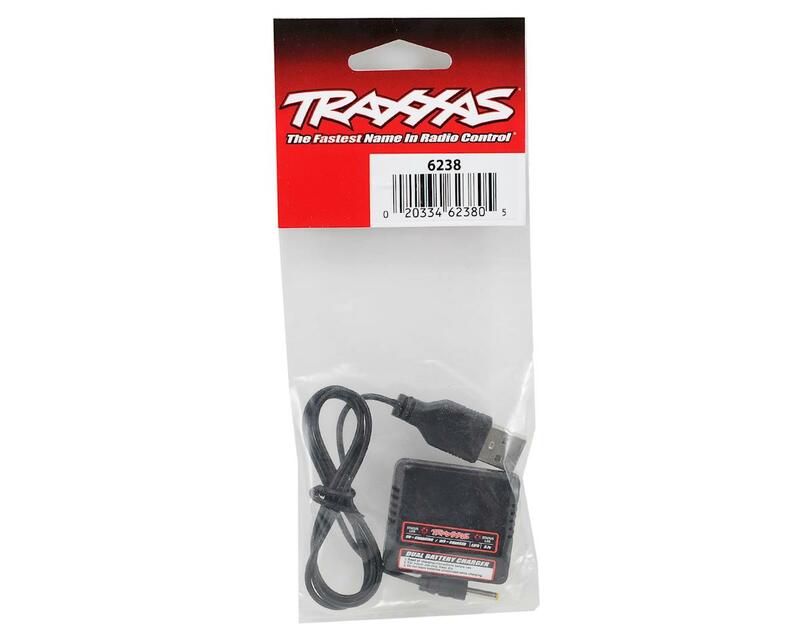 This is the Traxxas Dual-Port USB Charger, and is intended for use with the Traxxas QR-1 Quad-Rotor helicopter. 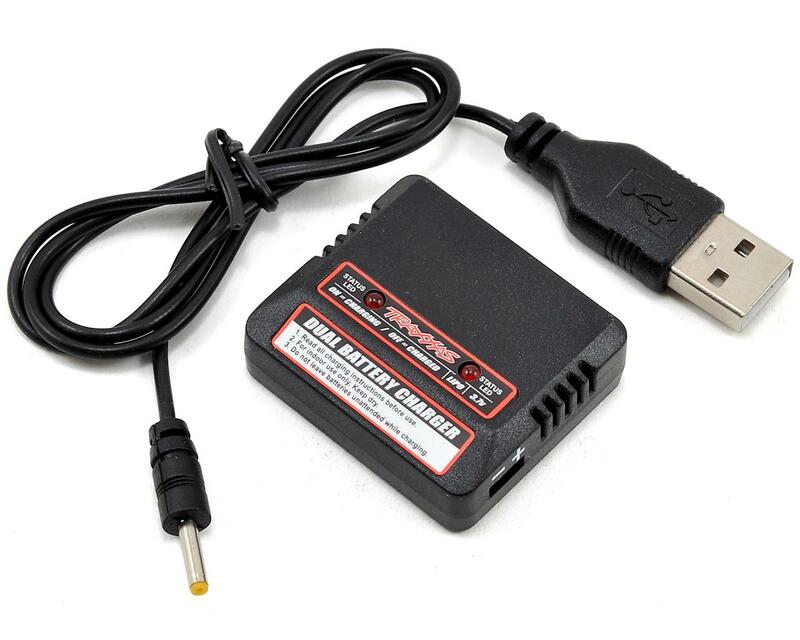 Just plug the charger into a powered USB port, plug the batteries into the charger, and you're on the way to the next take-off. LEDs keep you informed of the batteries' charge status for no-guess charging.